Even though most of our products come with the label 'made in china', it is without a doubt reasonable to think that India is not very far when it comes to manufacturing goods such as jeans pants. Due to the number of goods India produces each year, it is now being called the next manufacturing powerhouse of the fashion world. It is also noted that India has the biggest market of Jeans pants wholesalers as compared to the rest of the world. India is known for its various textiles and clothing materials around the world. However, a lesser known fact about the world's new top manufacturing country is that the production of such clothes most specifically Jeans pants can be very costly and expensive especially for the Jeans pants wholesalers. The main reason why it is extremely costly to manufacture jeans pants in India is mainly due to the current economic situation in India. The Indian rupee keeps going high especially when counted in the US or Canadian Dollars which makes it extremely costly for the makers to afford the manufacturing. It is also a problem for the Jeans pants wholesalers whose main aim is to sell products at a low price. Secondly, since India is a currently whose citizens largely depend on labor work to generate a source of income, the price of labor such as factory workers and tailors is very expensive and since most of the work done on jeans pants is done by hand, the workers demand a higher pay than usual. The Jeans pants wholesalers have a disadvantage here as they are paying their labor a very hefty account and in comparison, gaining small profit from it. Another issue that the Indian manufacturers face is generally based on quality of the jeans pants. Since most of the work is done by hand and is not done by trained professionals, it has been observed that there is a downfall when it comes to manufacturing especially in the production of jeans. However, in comparison, when it comes to India's next-door neighbor and long-term rival; Pakistan it has been seen that they might have a much stable manufacturing business especially in the jean pants market. Pakistan is seen as a developing nation where citizens can be found working professionally along with doing labor work. Perhaps this is why the cost of manufacturing is less as compared to India because the workers don't demand a hefty pay and most of the work is also done through machinery so the Jeans pants wholesalers don't pay the workers a very large amount. The market value of manufacturing jeans in Pakistan is also much higher as compared to that of in India. The value of Pakistan's currency especially when converted into the American and Canadian dollar is also less as compared to India so therefore the overall cost price of producing goods such as jeans pants tends to be less for Pakistani Jeans pants wholesalers than for Indian wholesalers. 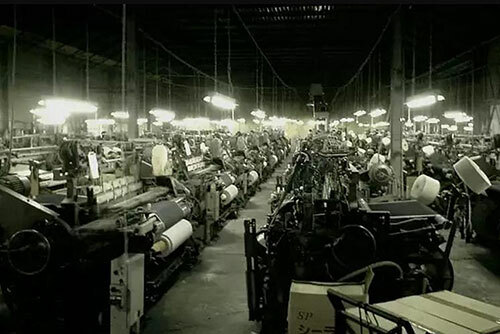 So therefore, in conclusion, due the use of better fabrics, professionally trained tailors and less cost of manufacturing, if a comparison is made between India and Pakistan, Pakistan would take the lead as it provides better quality of jeans pants and other goods in a reasonable price which hits the target for both the Jeans pants wholesalers and the consumers.